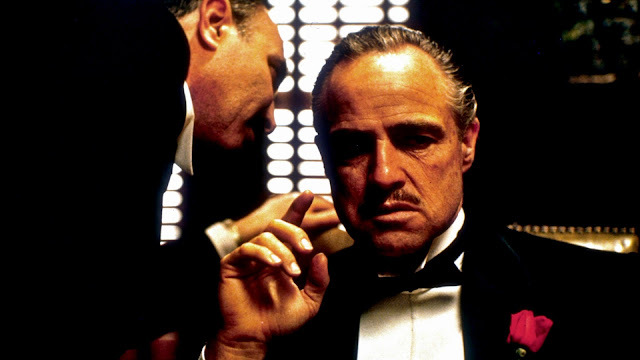 The Godfather, arguably known as the greatest film ever made. It is always have been a toss up between no.1 and no.2. But It had to be this way. That dosen't make The Godfather any less. This is probably the only film which I think deserved the Best Picture Oscar along with it's sequel. This film played a crucial part in my love for films. It is by far the best crime/mafia/gangster film ever made, and that is my favourite genre, that itself explains a lot. 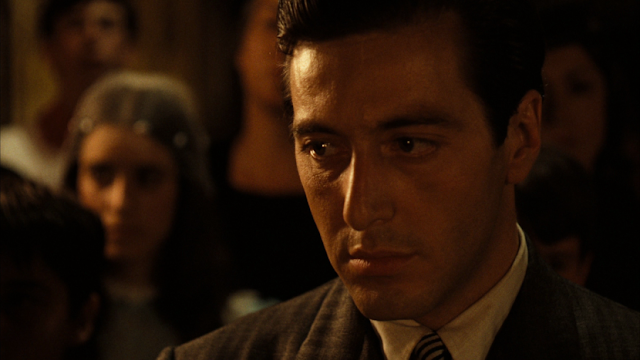 The opening scene of The Godfather is itself an achievement in filmmaking. It sets the tone for the whole film and even for the second film. This film revolutionized the american cinema, before it Citizen Kane did it. The Godfather is perfect in every ways, there is not even a single scene where I can point out and say, that is a dull moment. The film lets to care for the characters, even though they aren't the best people out there. Francis Ford Coppola was without a doubt king of the 70's and this his by far his best work for me. I love both Part I & Part II equally, but I have to give a slight edge to the first one. Whenever, I hear the epic score from the film, it gives me chills. Weather I look at from acting point of view, Marlon Brando gives his best performance, and this might the best performance of all time, and certainly my favourite. Screenplay of the film, is one of the best I've read. This changed the way I look at Crime films. The way the story follows, it is realistic and subtle. It is one of the most influential films of all time, If I set out to be a filmmaker one day, this is one of those films which I have adored and at some point of the career there would be an inspiration. The crime shown in the film, is not like killing here and there, it shows the reality of crime, how it is done, in other words Organised crime. The baptism scene is one of my favourites of all time, it is so well written, acted, directed and edited. Son seeks out all the revenge. Coppola, manged to do it in style. The Godfather is a film which I see every year, and at least twice. I watched it at that point of the time, when my love for films was just began. It is the best film ever made (arguably, again), There is a reason it is called so, and I might have got it. Whenever I watch this film, the vibe that it creates, isn't what I can express it in words. Francis Ford Coppola's career may have gone downwards now, but what ever he did in the 70's is simply what I love about films. Thank You for crafting this masterpiece. Hope you enjoyed my ninth instalment in favourite films series!